Mothers's Day would be a pretty good time to try out your strawberry rose making abilities. After seeing Debbie's tutorial, I am pretty sure even my older kiddos could pull these off (hint hint). 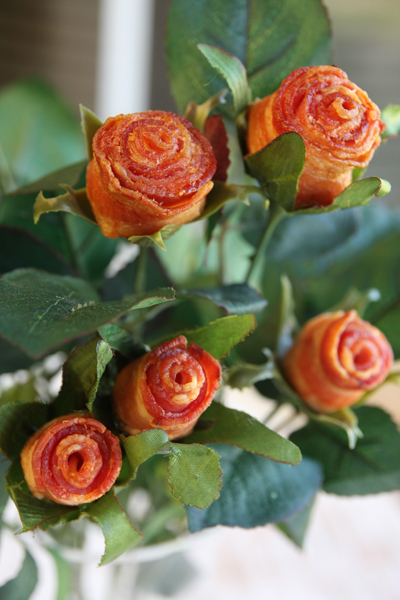 They would balance out the bacon bouquet from Our Best Bites very nicely. 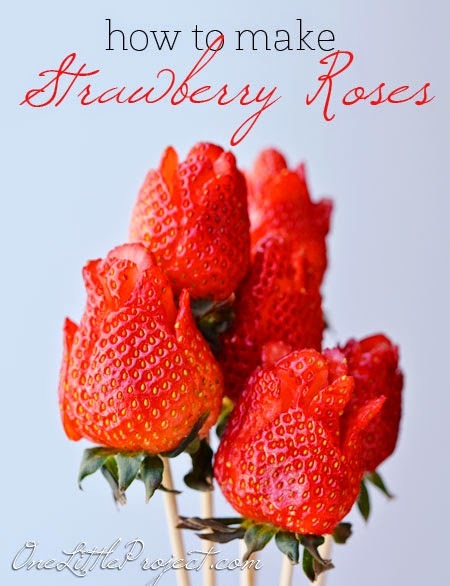 You can check out how to make strawberry roses over at One Little Project.